AERO is a simulation program based on rigid body systems. With the built-in 3D editor you can create a virtual scene consisting of spheres, boxes (cuboids), cylinders and plains. These objects may be connected with links like spring, damper, rod and joint. Now the simulation can be started and all objects obey to the laws of physics. That means gravitation, air resistance, friction and all additonal user defined forces are taken into account and set the scene into motion. You can watch this sequence similar to watching a video tape: play the scene or step back to memory positions and replay or you can "wind" back to the beginning or forward to the end of the scene. 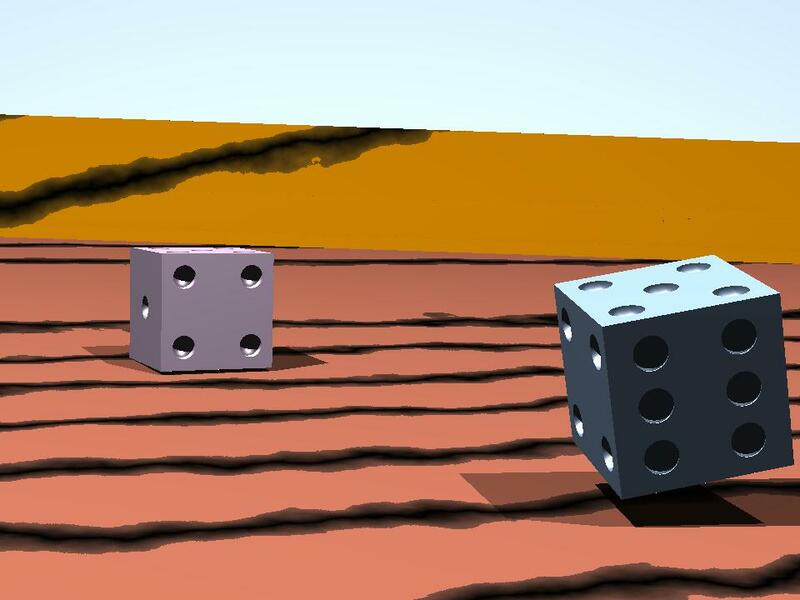 In addition AERO is capable of creating scene files for the raytracing program POV-Ray out of these sequences. This means you can create fully rendered animation sequences, e.g. MPEG videos. If you have suggestions or ideas what can be added to AERO or if you've found a bug please email to one of the following persons. Do you like to help improving AERO? One of our main problems at the moment are the German comments in the source files, which are a result of the history of AERO. We're desperately in search of somebody who does the job of translating them to English. But also any other kind of improvement is appreciated. Please email us to get information of how you can help or where you can start with your own extensions.